Manchester United were reportedly left shocked as they missed out on the transfer of Yerry Mina to rivals Everton this summer. Having struggled for first-team football at previous club Barcelona, Mina’s future had looked up in the air for some time, particularly after an impressive showing at the World Cup. Mina’s form for Colombia suggested he was more deserving of regular playing time, with United initially linked strongly as one of the names in for him. However, the 23-year-old ended up making the move to Goodison Park on the final day of the Premier League transfer window instead, along with Andre Gomes, who left Barca for Everton on loan. 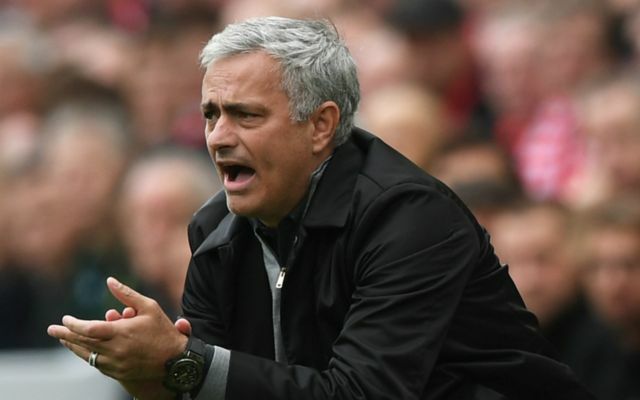 Remarkably, it seems United missing out on the Mina deal was largely down to the lack of interest shown by manager Jose Mourinho. This is in contrast to Toffees boss Marco Silva, who personally contacted the player over the move and won him over, leaving United staff shocked, according to the Sun. This certainly seems strange behaviour by Mourinho considering his defensive options at present. Even if Mina is far from the best centre-back in the world, one has to assume he’d be a better option than Ander Herrera, who was drafted in to the back three for the team’s 3-0 defeat at home to Tottenham on Monday night. Is there a media agenda against Jose Mourinho? The South American starlet is yet to play for Everton since his move, but it seems Silva was keen to have him there, showing more desire than Mourinho if the Sun’s report is anything to go by. It’ll be interesting to see how much the Red Devils end up regretting this as the season goes on.